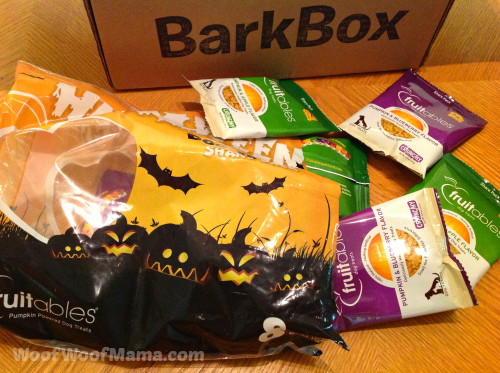 October BarkBox Full Of Halloween Surprises — See What’s Inside! We’ve been holding off on showing you what was in this month’s BarkBox, since it was a VERY special Halloween-themed mystery box and we didn’t want to ruin the surprise for anyone! 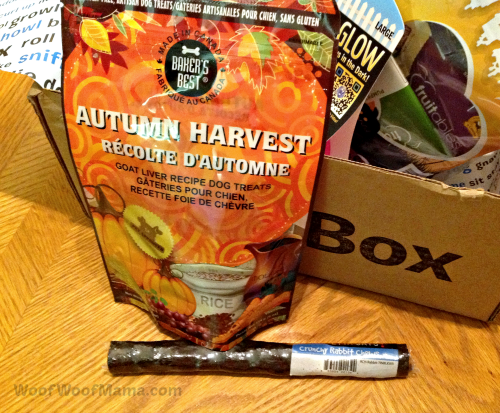 Since it’s Halloween week, now is the perfect time to give you the scoop on all the great dog treats and toys that were in the October BarkBox. 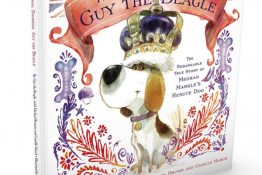 Daisy signed up for the Large dog subscription, so remember that items may vary depending on what size you choose for your dog (price is the same regardless of size; skip down to the end for a special DISCOUNT). 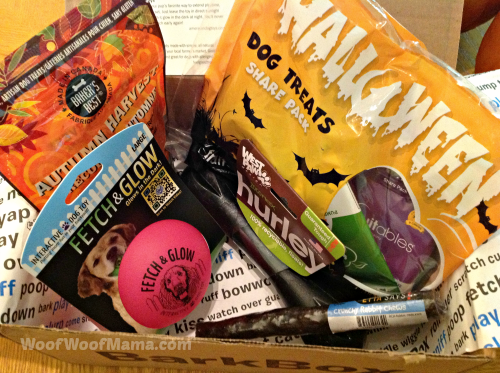 This month’s BarkBox had 5 items: 2 great toys and 3 yummy treats. One of the treats was actually a big bag of individually wrapped Fruitables dog treats made especially for sharing with pals, or handing out to any dogs in costume who stop by trick-or-treating on Halloween…super FUN! The other 2 treats were a big bag of Autumn Harvest Goat Liver dog treats and a Etta Says! Crunchy Rabbit Chew Stick. 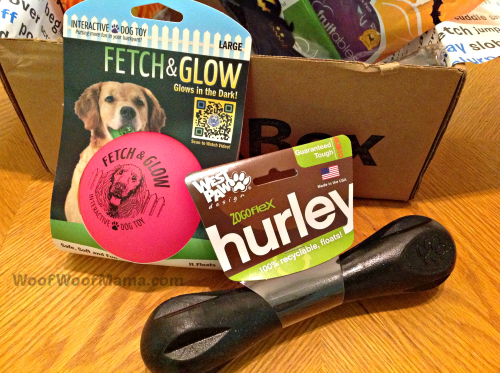 This box included two awesome toys, a Black Hurly toy from West Paw and a Fetch & Glow ball. The Black Hurley is a super durable chew and fetch toy that floats. 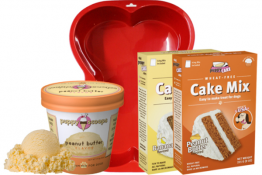 It’s also 100% recyclable, nontoxic and made in the USA. The Fetch & Glow ball is super fun at night. You just leave it in the direct sunlight during the day and then watch it glow in the dark at night! As usual, the folks over at BarkBox have outdone themselves with a super fun mystery box of surprises this month and we can’t wait to see what’s coming up next as the holidays approach! 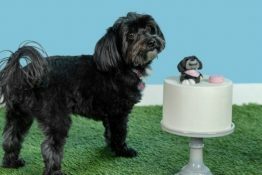 If you want to get a BarkBox for your dog, or as a gift for another fur kid on your holiday shopping list, just visit BarkBox.com to get started. You get to specify if your dog is Small, Medium or Large so that the items are customized for size, and you choose your plan. Options include Monthly, 3-month and 3-month plans. You can cancel anytime and shipping is always free. 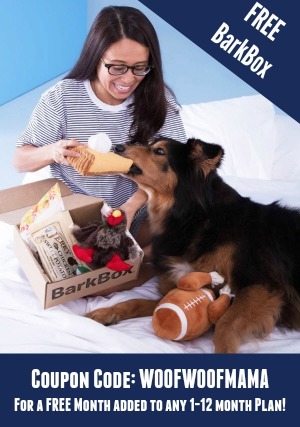 Get $10 OFF your BarkBox order (includes Free Shipping) when you click here to visit BarkBox. No promo code needed; discount is automatically applied at checkout. 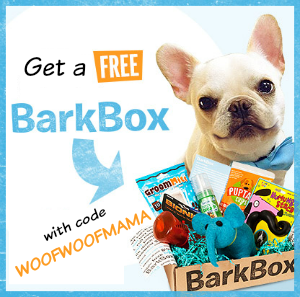 Get a FREE month of BarkCare ($32 value) + $5 OFF your order when you use BarkBox Promo Code WMBC5J2P at checkout. You can learn all about 24/7 BarkCare veterinary services by reading our recent article about it here. 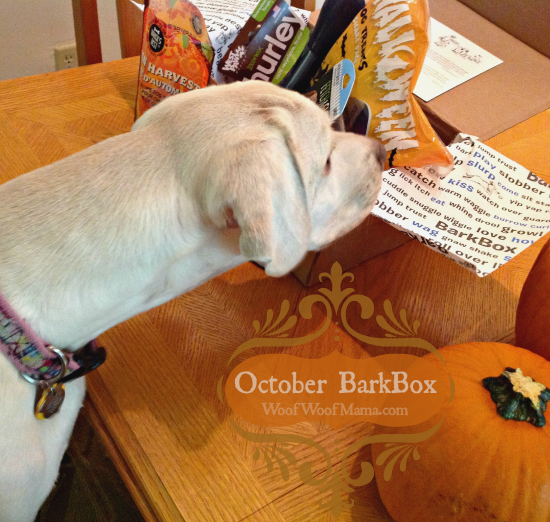 Did you get the October BarkBox? Let us know how your dog liked it and which item is their favorite!